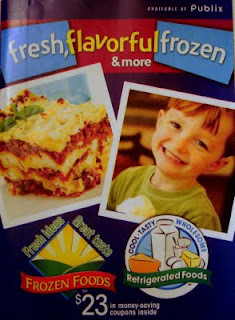 There is a new coupon booklet available at Publix - Fresh, Flavorful, and Frozen. I found this one near the front door at my local Publix. Check out this post over at Fiddledeedee for a list of all the coupons.